A beautiful cheese tray, it's always a party! Here are some tips to create your cheese board. To call a cheese tray, select quality cheeses and meet the tastes. Before putting cheese on the tray, remove the packing materials and manufacturers' labels, retaining only the leaves or grasses that cover them eventually. Arrange the Gruyère, Comté and other cooked pasta near the edge of the plateau because they are harder to cut. By cons, moist and friable Bleus that may crumble rather be placed in center of shelf. In a corner of the tray, the small cheeses we will. The tray may also be presented as a fine cheese cover. A golden rule for tray: cheese should be eaten in ascending order of flavors. It is therefore essential to have them in a circle on the plate, in the direction of clockwise, the freshest and softest to fermented or stronger. Space enough cheese to facilitate cutting on set. Above all, do not make them touch. If you wish, take a tag with the name and origin of the cheese on the plate for the guests meet there. Prévoyer a knife by type of cheese so the flavors do not mix too. Consider also the cheeses out of the refrigerator at least 1:30 before serving so that the flavors can develop at constant temperature. Present the cheeses on a natural living as support and base of the tray: wicker, wood, slate, marble or glass. Supplementing the cheese tray a few grape leaves or ferns and drop a few berries to give color (currants, raisins, nuts, pineapples, starfruit, ...). 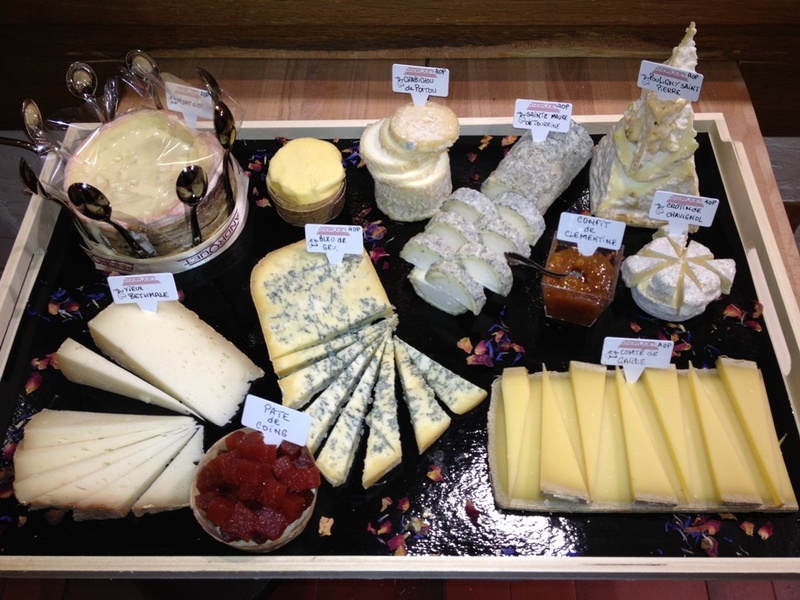 To succeed a cheese tray, it is played on the shapes and colors of the cheeses. To compose its cheese tray without taking risks, we must balance the tastes while playing on the register of different cheese families. Thus, fans will always find plenty to delight their palate. It is of course important to consider the seasons in order to offer the quintessential flavors of each cheese.